The levels of tau were significantly lower in plasma measured in those with diagnosed Alzheimer's disease compared to those with no sign of cognitive decline. A study by researchers at the Banner Sun Health Research Institute suggests that plasma levels of tau, a protein formed in the brain, appears to be a biomarker and a strong predictor for Alzheimer's disease. The study, led by Dr. Larry Speaks at the Banner Sun Health Research Institute (BSHRI), is published in the June edition of American Journal of Neurodegenerative Disease. Sparks and other researchers measured tau levels in human plasma and found "significant differences" between cognitively normal individuals and those with either mild cognitive impairment or Alzheimer's disease. Significantly, Sparks and his team found that the levels of tau were significantly lower in plasma measured in those with diagnosed Alzheimer's disease compared to those with no sign of cognitive decline. "As cognitive performance declines so do the circulating levels of tau," Sparks noted in the study. "We revealed a significant decrease in plasma levels of tau among those with mild cognitive impairment with a further highly-significant reduction in Alzheimer's patients." 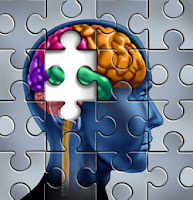 Sparks and his fellow researchers said the data from the recent study suggest that changes in the circulating tau levels may represent a viable biomarker for tracking the progression of Alzheimer's disease and the efficacy of medications in its treatment. The Banner Sun Health Research team found the levels of tau in cognitively normal adults and seniors was nearly three times greater than those with some levels of cognitive impairment. "Overall, the data suggest that changes in plasma total tau levels may provide a new avenue of identifying the onset of mild cognitive impairment and the ensuing Alzheimer's disease. The era of utilizing a simple blood test to help diagnose Alzheimer's disease is on the immediate horizon," Sparks concluded. Dr. Sparks is available for media interviews. For 25 years, Banner Sun Health Research Institute, part of nonprofit Banner Health, has been a leader nationally and internationally in the effort to find answers to disorders of aging including Alzheimer's disease and Parkinson's disease. The institute, together with its Arizona Alzheimer's Consortium partners, has been designated by the National Institutes of Health as one of just 29 Alzheimer's Disease Centers in the nation. The institute's Cleo Roberts Center for Clinical Research takes laboratory discoveries to clinical trials that foster hope for new treatments. Banner Health is Arizona's leading health care provider and second largest private employer. For more information, visit www.BannerSHRI.org.